The two Abia flag bearers in the NPFL will be locking horn in the much anticipated Abia Derby. 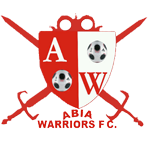 One thing is certain, they are not new to eachother but over the years, Abia Warriors FC has risen from just being kid brother to a major contender in the different meetings. Abia Warriors got off to a flier at the start of the season, making the 90 minutes trip to stun league defending champions, Rangers International right at their doorstep. Easing past Katsina United on Matchday 2, it took a dramatic penalty at Remo Stars to stop them in their tracks. Emordi looks what the doctor ordered for an Abia Warriors side that seek to cement an identity for themselves in the league. Interestingly, a number of the players in their ranks were deemed surplus to requirement by Eyimba FC of Aba.